I can’t honestly say I enjoy running. Fast fitness walking better suits my aerobic style. On the other hand, I am reading a book by Jeff Galloway called Running Until You’re 100. Jeff is a former Olympian who has trained hundreds of thousands of runners of all ages. He is especially known for his “run-walk-run method”, which has enabled him to run without injury for over 30 years. Jeff trains prospective runners and seasoned runners alike, helping them to 1.) 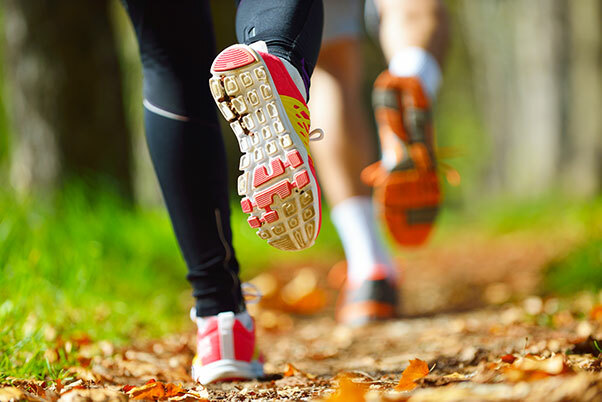 run with fewer aches and pains, 2.) stay motivated, and 3.) increase their enjoyment as a runner. He also helps his trainees to make needed adjustments for each decade of life as one ages, along with wise counsel on rest, diet and goal-setting. 1. The Bible often speaks metaphorically of both walking and running. We are instructed to walk “in love” (2Jn.6), “in the light” (1Jn.1:6-7), “in obedience” (Deut.5:33,10:12,11:22,26:17), “humbly” (Mic.6:8), “with the wise” (Prov.13:20), etc. We are also instructed to “run in such a way as to get the prize, not like someone running aimlessly” (1Cor.9:24-26), and “run with perseverance the race marked out for us, fixing our eyes on Jesus…” (Heb.12:1). 2. Some of the things Jeff Galloway teaches, which I listed in the first paragraph above, are also things I value in the pastoral ministry. I want to help train followers of Christ to 1.) follow Christ “with fewer aches and pains” – arising from the temptations and sins of the world, the flesh and the devil), 2.) “stay motivated” to follow, serve and obey Christ, and 3.) “increase our joy” as those who are loved, whose sins are forgiven and who have eternal life! 3. Ultimately, running depends upon strengthening one’s heart and cardiovascular system, while also building endurance and increasing one’s sense of well-being. Living as a Christian also involves these things. For instance, God searches every heart (1Chron.28:9) and looks at the heart (1Sam.16:7). The Holy Spirit is purifying our hearts. God wants us to love him with all our heart. By the way, I have developed my own version of Galloway’s “run-walk-run method”. I call it “Jogwalking”. I walk for a while at a good pace and then jog for a bit – mainly to get my heart-rate up into the fitness zone I am seeking. My fancy “Fitbit” watch helps me know how my heart is doing. When I am too out-of-breath (and not enjoying running) I go back to walking again. I still get all the cardiovascular benefits while actually enjoying my exercise experience! I also have a sense that I am taking better care of both my physical and spiritual heart. “…those who hope in the Lord will renew their strength. They will soar on wings like eagles; they will run and not grow weary, they will walk and not be faint” (Isaiah 40:31). May you and I “jogwalk” with Jesus until we are 100, and then live forever, happy, whole and well, in his eternal kingdom!